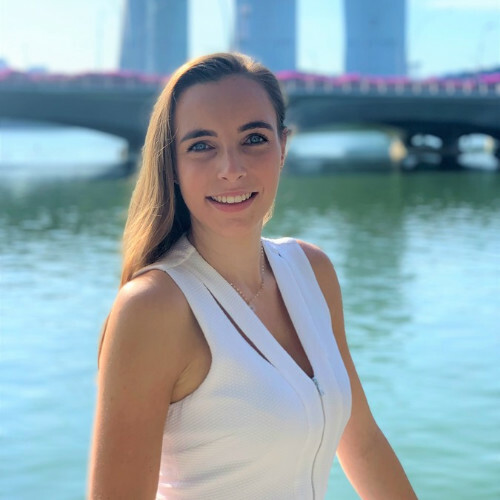 My name is Romane and I’m a Business Manager at Antaes Asia. I grew up between France and Singapore, and I hold a master’s degree in finance from Paris. I have a background in Wealth Management as a Relationship Manager and in Foreign Exchange Advising. Why did you choose to join Antaes? I am passionate about people and the financial services sector. Antaes Asia is a fast-growing company and seems to be exactly what I was looking for. I am a young and energetic person, I wanted a company that could match this rhythm. Working hand in hand with consultants to create business opportunities is my major motivation. What is the most important thing for you to feel good in a position? I believe the atmosphere of a company is key to thrive in a position. My most important criteria? Ethic. I know it is a classic track, but Antaes Asia delivers an image that I am happy to represent. In three words, how would you describe your mission at Antaes? My dream destination is Bali. Being an accredited yoga teacher its always amazing to be in Bali as it’s the best place to learn or teach yoga. I enjoy the good mood that emanates from that island, everybody seems to be constantly smiling. People are happy in Bali and so am I!